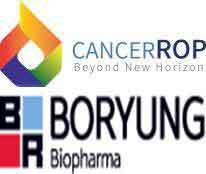 Boryung Biopharma said that it plans to launch Wilson's disease screening test along with CancerRop on Feb. 1. Wilson disease patients develop a problem in their chromosome 13, which contains the ATP7B gene responsible for copper transport. ATP7B is a gene that binds the copper carried into the liver cells to ceruloplasmin, the copper binding protein in the blood, and carries it out of the cell or into the bile duct and produces the energy needed to transport copper. The gene mainly resides in the kidneys and liver. The malfunction causes a metabolic disturbance as copper accumulates in the liver, brain basal ganglia, kidneys, and red blood cells and is hard to cure once symptoms appear. Also, copper accrues excessively around the cornea of the eyeball, creating a white-colored band called corneal arcus. The disease usually occurs at the age of 12 to 15 with liver diseases being one of the primary illnesses that occur in patients under 15. The symptoms start with an increase in the level of insignificant hepatic inflammatory enzymes. In the long term, it can cause chronic diseases such as acute and chronic hepatitis accompanied by cirrhosis, acute hemolysis, and renal dysfunction. For patients over 15, the disease mainly causes neurological symptoms. The illness impairs the cerebral basal ganglia, which results in symptoms such as pronation and swallowing difficulties, facelessness, difficulty walking, and dementia. Also, the disease can cause copper poisoning in the brain which can lead to excessive anxiety, and neuropsychiatric disorders such as fear, emotional difficulty, bipolar disorder, personality change, and even death if untreated. Therefore, early detection of Wilson's disease can help prevent the progression of liver damage through medication and other treatments, and to lift most symptoms to normal levels. While recovery of the patient’s liver function can take up to a year, permanent disability can occur if the patients fail to receive treatment during the appropriate period.